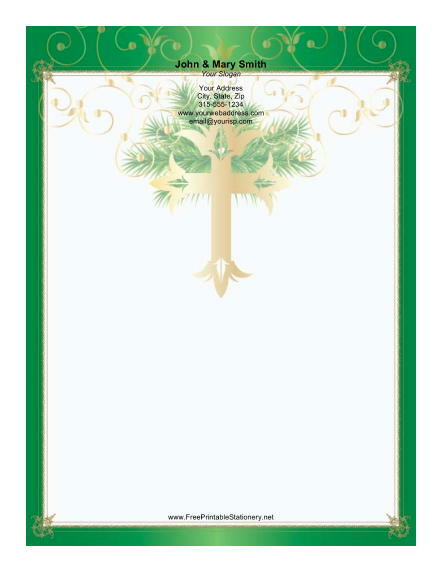 A gold cross stands in front of a sprig of pine on this traditional Christmas paper. The cross is surrounded by a bright green border. A lacy golden inner border gives this Christmas stationery an elegant frame. When you set out to write your Christmas letters, keep this classic paper in mind for everyone you know.